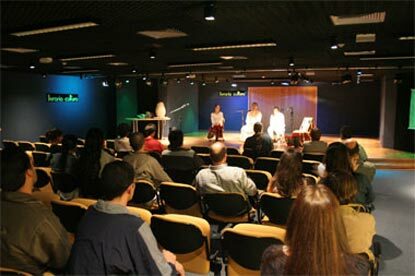 Transcendental lectures from Sripad B.V. Trivikram Maharaj and Sripad Srutasrava Prabhu in the bookshop 'Livraria Cultura,' the biggest bookstore in Brasilia. 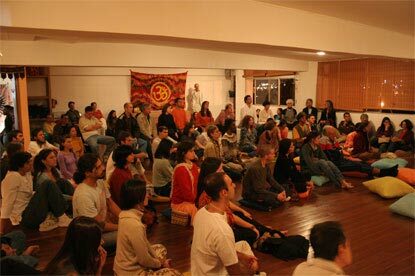 100 people attended the inspiring program at Chaitanya Mayi Devi Dasi's beautiful 'Atma Yoga Center.' 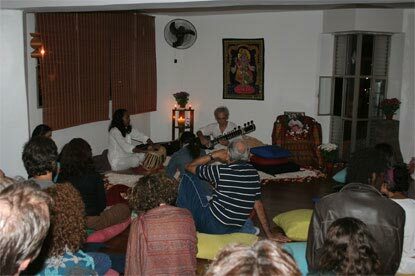 Nectarean words, music and prasad for all. 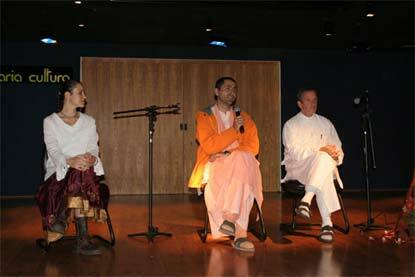 Many interesting questions arose from the visitors about the process of Bhakti Yoga and the beautiful Krishna conception. 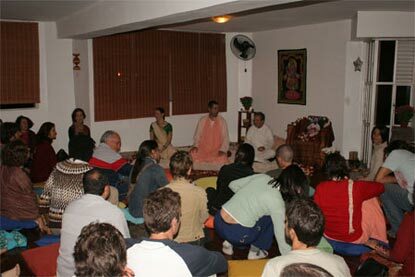 Everyone listening carefully to the intense subject of Krishna Bhakti. People were enlivened to hear of the topmost position of Krishna, and access to Him through the divine, merciful agent, Sri Guru. After the lecture many were interested in continuing the discussion and many guests returned for the continued programs in the following days. 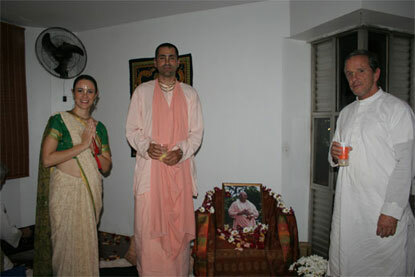 Chaitanya Mayi Devi Dasi invited Sripad Trivikram Maharaj and Srutasrava Prabhu to Brasilia to taste and distribute the nectarean message of Srila Bhakti Sundar Govinda Dev-Goswami Maharaj. They did this wholeheartedly. 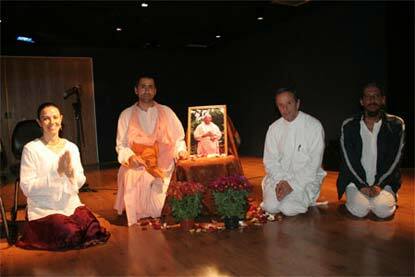 All being nourished by the message of Krishna Bhakti, the guests were exposed to the sweet sounds of Indian ragas. 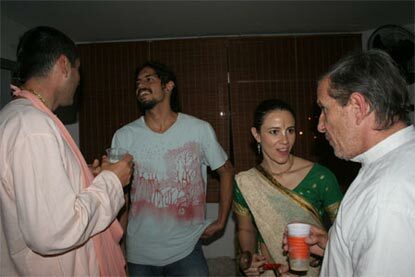 They were then served a sumptuous prasadam feast. Sripad Trivikram Maharaj speaks some inspiring words to quench the genuine spiritual thirst of the fortunate guests. 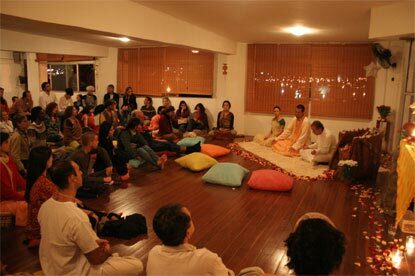 This program in 'Livraria Cultura' was the third consecutive program and many people returned from previous programs for further installments of the beautiful conception of our worshipable master, Srila Bhakti Sundar Govinda-Dev Goswami Maharaj.